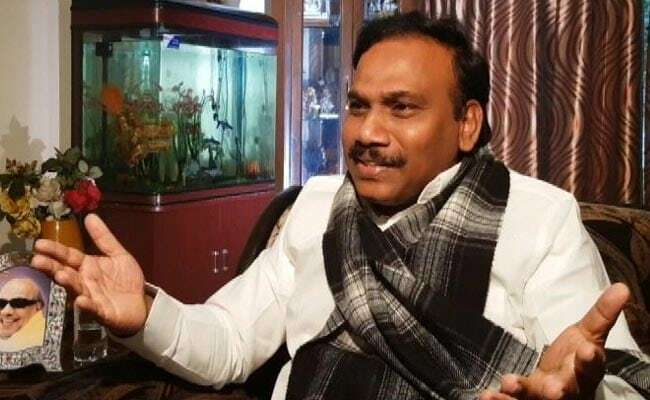 In his book titled "2G Saga Unfolds", A Raja produces an auditor's report that calculated the loss because of the first-come-first-served route, to Rs 5,000-45,000 crores. That report, the DMK leader claims, came out in May 2010. New Delhi: After "Rs 1.76 lakh crore" and "zero-loss", a third figure has surfaced in the 2G spectrum case that crashed last month after a court acquitted all the accused for lack of evidence. A book by A Raja, then telecom minister and main accused in the case, suggests that before then auditor Vinod Rai declared that the Congress-led government's decision to allot 2G spectrum without an auction cost the taxpayer a staggering Rs 1.76 lakh crore, the audit body in another report pegged the loss at just a fraction of that figure. Six months later, then Comptroller and Auditor General Vinod Rai submitted his final report, which was tabled in the winter session of parliament. The report hit the Congress-led government hard and led to the arrest of Mr Raja, who also had to resign as minister. Amid opposition attacks in parliament, Kapil Sibal, who replaced Mr Raja as Telecom Minister, said there was "zero loss" as the UPA followed the rules set by the previous BJP-led government, which didn't include auctioning of spectrum. The estimate in the auditor's May report is similar to the CBI's figure - Rs 22,000-30,000 crores. Two auditors and two officials from the Department of Telecom, signed off on the earlier report, which said: "The audit has taken the rates offered by the private operators as indicator of the market perception of the value of spectrum. The word 'loss' needs to be substituted ." A Raja said in November that year, the figure inexplicably jumped to Rs 1.76 lakh crore - which proves a "political conspiracy". "This report signed by CAG department and my secretary says zero loss. What happened thereafter? I want to ask my friend Vinod Rai to please come with the documents. I want to have an open debate. If he is wrong, then an inquiry should be done against Vinod Rai,'' the former minister told NDTV. In his book, he has accused Vinod Rai of "ulterior motives". RB Sinha, a top officer of the national audit body at the time says the previous report was a draft, after which the loss figure was revised with inputs from the finance and corporate ministries. "It's a process that we followed. And so the CAG report changed,'' he told NDTV. Vinod Rai has not responded to queries by NDTV. After A Raja and others were acquitted, he had expressed shock and said his audit report was based on evidence. In 2015, the spectrum auction fetched a record Rs 1,09,874 crore, which the BJP-led government said was proof of massive corruption in the allocation of spectrum by the previous government of Manmohan Singh.